Living in Raleigh, NC apartments may mean you make changes to your normal workout routine. You want to make sure your routine will not disturb your neighbors, but you also want the impact of a good workout. By using the right exercises, you will get the challenge you want without worrying about the neighbors or moving your furniture out of the way. A classic part of any exercise routine is a basic squat. You do not need to carry any weight or use any equipment for the exercises. Simply stand with your feet at shoulder width and bend your knees. You want to keep your back straight and your knees behind your toes. It will look similar to sitting down in a chair, except that you do not have a chair behind your body. Push back up to a standing position and then repeat the process. 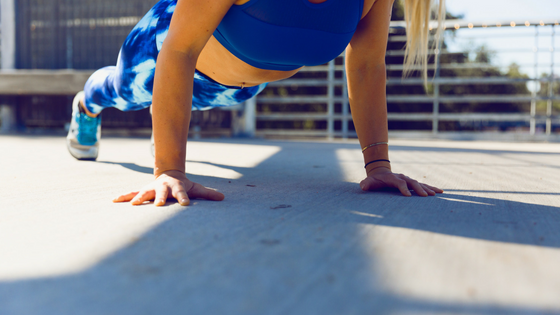 Push-ups are a great way to strengthen your arms. Start with your hands flat on the floor and shoulder width apart. Walk your feet back until you are holding up your body on your hands and toes. Keep your back straight. You can also put your knees on the ground if you find the exercise difficult. Lower your body to the ground and hold it for one second before pushing back up into the starting position. Lunges are a simple exercise you can do in the house. Start with your legs hip-width apart. Step out to the side with one foot and bend the same knee while keeping your back straight and your other leg straight. Stand up and step into the starting position. Repeat the process on the other side. Ab exercises are an important part of any workout routine. For crunches or sit-ups, lie on the floor and move your feet until your legs are at a 45-degree angle. Support your head with your hands or place your hands across your chest. Lift up with your lower abs until your shoulders come up off the floor. Lower your body back to the floor. Sit-ups differ slightly since you want to bring your body up in a sitting position. Side planks are a quick and easy exercise for apartment living. Lie on your side with your legs straight. Prop your body up on your forearm and tighten your abs to hold your body in position. Hold the position for 30 to 60 seconds. Repeat the exercise on the other side. Living in apartments in Raleigh doesn't mean giving up on your health. You can exercise in your apartment by using quiet exercises that do not require equipment or extra space. To take a look at a rental space, contact us today.